Weaving Life tells how Dan Terry, a United Methodist who worked with numerous Mennonites through the years, wove relationships, joy, partnership and understanding into his lifelong work in Afghanistan. Terry, 64, was among 10 humanitarian aid workers assassinated in Afghanistan in August 2010. Image provided by MennoMedia. 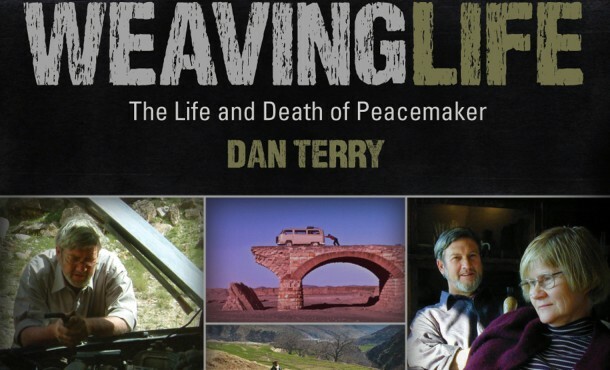 Weaving Life, a documentary on the life and death of peacemaker Dan Terry in Afghanistan, has received a gold “Pixie” award for innovation in the use of motion graphics, effects and animation. The 4th Annual Pixie Awards, sponsored by the American Pixel Academy (encompassing those who work with “moving pixels”), was founded by David E. Carter, originator of the well-known Telly Awards for film/video work. Weaving Life was produced by visual media students at Eastern Mennonite University last spring, in cooperation with MennoMedia. The documentary began airing on ABC-TV affiliates on Oct. 21, with the last airing on Dec. 16. Weaving Life tells how Terry wove relationships, joy, partnership and understanding into his lifelong work in Afghanistan. Terry, a 64-year-old United Methodist, was among 10 humanitarian aid workers assassinated in Afghanistan in August 2010. EMU alumnus Glen Lapp was among the slain workers. Paulette Moore, media arts and peacebuilding professor at EMU, oversaw the 16 students who produced the documentary, with help from classmates in a motion graphics course taught by Jerry Holsopple, PhD, professor of visual and communication arts. Unable to go to Afghanistan to get new video footage for the documentary, the students relied on photos, numerous motion graphics and effects, and videotaped interviews to illustrate the story. MennoMedia, which produces documentaries through participation in the Electronic Programming Committee of the National Council of Churches, worked with EMU intern Justin Roth to complete the documentary to meet ABC-TV specifications for airing this fall.